BlazBlue, the popular fighting game series by Arc System Works, is coming to the stage as Live Act BlazBlue ~Continuum Shift~. BlazBlue is far from the first stage adaptation of a popular video game to come out in Japan; Ace Attorney, Persona 4, Steins;Gate, and several others have had their time in the spotlight over the past few years. According to the official website, Live Act BlazBlue ~Continuum Shift~ will mix static CG with live action performances by using projection-mapping to make it seem like the game’s characters have really come to life. And while they’re not in costume, you can check out the cast for the play in the video and picture below. 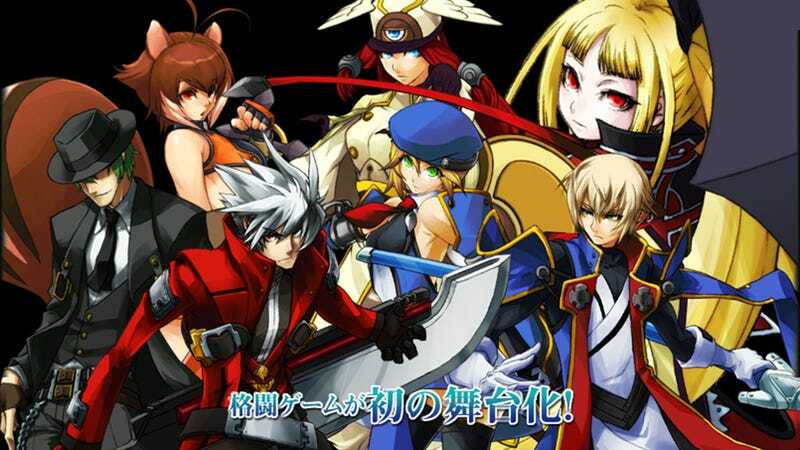 Live Act BlazBlue ~Continuum Shift~ will run from March 6, 2014 through March 9, 2014, at the Galaxy Theater in Tokyo. Tickets are on sale now.